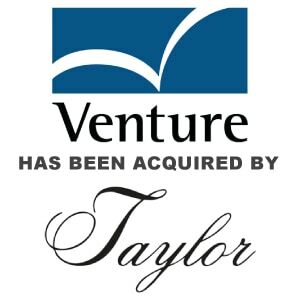 Berkery Noyes Represents Venture Encoding in its Sale to Taylor Corporation - Berkery, Noyes & Co., LLC. NEW YORK, NY, July 10, 2012 – Berkery Noyes, a leading independent investment bank providing mergers & acquisitions and capital raising advisory services to middle-market companies in the financial, information, and technology markets, announced that it represented Venture Encoding Service, LLC in its sale to North Mankato, Minnesota-based Taylor Corporation. Venture Encoding, based in Fort Worth, TX, is a leading national provider of mission critical, integrated borrower communications to the mortgage, consumer banking and automobile finance industries. The Company produces and manages outbound and inbound communication of consumer borrower-related information, including billing statements, e-bills, letters, payment books, notices, and other financial-related correspondence in both print and electronic formats. Venture Encoding also provides a Web-enabled solution, VentureAccess, which offers clients more control of the communications process in a secure and highly-automated environment. 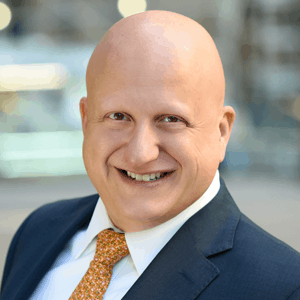 “As consumer banking and mortgage regulations proliferate, Venture Encoding’s integrated communications solutions are in high demand, serving as a primary communications portal between lenders, mortgage servicers and borrowers,” said John Guzzo, Managing Director at Berkery Noyes. Venture Encoding is one of the nation’s foremost providers of transactional outsourced billing and communications within the mortgage and consumer loan servicing industries. With a strong reputation for quality, innovative technology-enabled services, and a client-centric business model, the Company is in an enviable market position. Venture Encoding’s success is a testament to its core competencies, and the impressive employee base’s shared values and winning culture instilled and nurtured over the years by owner and CEO Kenny Hargis. “Our advisor John Guzzo and his team were tireless in their pursuit of this deal. They are seasoned M&A professionals who are extremely knowledgeable of the potential buyers and industry trends. Berkery Noyes provided invaluable guidance and deal support every step of the way, which resulted in a successful transaction and outcome to all parties,” said Venture Encoding owner and CEO Kenny Hargis. Berkery, Noyes & Co., LLC acted as financial advisor to Venture Encoding Service, LLC., and Managing Director John Guzzo led the team. Founded in 1972, with corporate headquarters and main facility in Fort Worth, Texas, the Company was led by President and CEO, Kenny Hargis. Mr. Hargis was instrumental in guiding Venture Encoding with the support of a knowledgeable and experienced team. The Company’s client base includes leading companies with the financial services industry, as well as clients in the healthcare insurance, utility and auto markets. At the core of Venture Encoding is VentureAccess, the Company’s flagship Web-enabled service deployed as an online client care tool and used by clients to actively manage their jobs throughout the document creation and distribution process. Berkery Noyes is a leading independent investment bank providing mergers & acquisitions and capital raising advisory services to middle-market companies in the financial, information, and technology markets. Berkery Noyes has advised many notable financial information technology companies including G2 Web Services in its investment from Primus Capital, Mortgage Cadence in its investment from Monitor Clipper Partners, Tradeware Global in its sale to SS&C Technologies, the acquisition of Need To Know News by Deutsche Börse, and the recapitalization of Asset Control by Fidelity Ventures. For more information about Berkery Noyes, please visit: www.berkerynoyes.com. Buyer: Corporate Graphics International, Inc.